One of the top golf courses in the Lothians, Deer Park was established as recently as 1978 but has now reached full maturity. The course is a leading Scottish tournament venue, which has hosted Regional Qualifying for the Open and the Deer Park Masters – one of the most popular events on the PGA Tartan Tour. TAs a test for some of the world’s best players over recent years, Deer Park is not a short golf course. However, with five sets of teeing options for you to choose from, you can carefully decide how difficult a challenge you wish to encounter. As the round progresses, you’ll notice that Deer Park is the home of two very distinctive nines. While the front nine is relatively flat, the inward half rises and falls with the undulating terrain. On the highest of these points, a view of Edinburgh Castle is often presented. 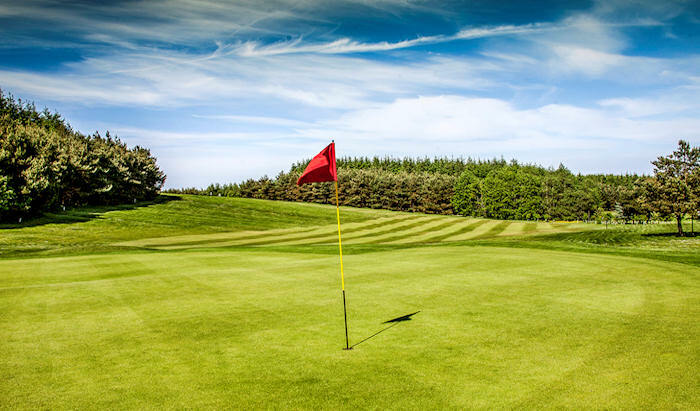 A friendly club situated between Glasgow and Edinburgh, it has a comfortable restaurant and bar to look forward to at the end of your challenging round. 8th – It may be the longest hole on the course but it also offers the greatest chance of a birdie. A good drive and solid second shot carrying the fairway bunker and there’s a chance of making the green in two. Book and play your golf with 24 hours advance booking and you can play this course for £10. Busy day at the driving range!